But nevermind that right now. They are napping. Hallelujah! You have your coffee in hand and Bible open. Deep breath. It’s time to fill up, so you can pour out once again. You open up to today’s Scripture reading—Exodus 40. Then the Lord said to Moses: “Set up the tabernacle, the tent of meeting,on the first day of the first month. Place the ark of the covenant law in it and shield the ark with the curtain. Bring in the table and set out what belongs on it. Then bring in the lampstand and set up its lamps. Place the gold altar of incense in front of the ark of the covenant law and put the curtain at the entrance to the tabernacle. Say what? What could you possibly glean from reading about the making of the tabernacle? This is not going to help you when you’re about to lose your patience or when you need to choose kind words over snarky sarcasm. Awesome. Have you fallen into this trap of wanting to make every Bible verse about you and your situation? The Bible does tell us that every Scripture is God-breathed and is useful for teaching, rebuking, correcting and training in righteousness. How can this passage about building a tabernacle be used for teaching? We know God doesn’t require us to build one, today. What does this passage tell me about God? 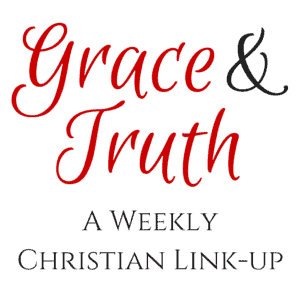 What does this story reveal about the nature of God? 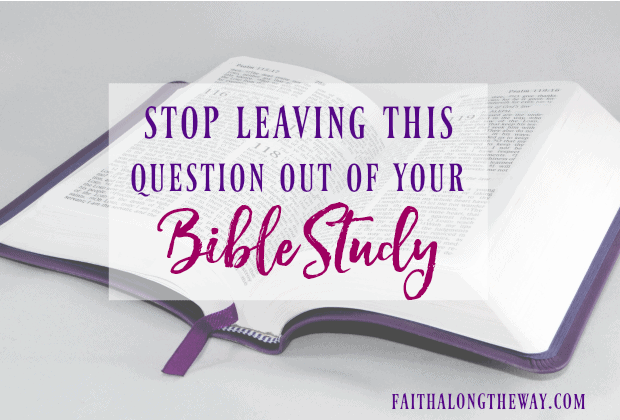 This is the question that every Bible study needs—that should never be left out. When Scripture is looked at through the lens of what-does-this-teach-me-about-God, it opens up a deeper, richer understanding. Let’s take Exodus 40 for example. What does this passage about building the tabernacle reveal about God? He cares about the details. He wouldn’t have gone to the trouble of being specific if it was insignificant. God is purposeful, so we know that if He told them to act in a certain wait it mattered. He is a jealous God. God didn’t want them worshipping anyone or anything but Him. Not only that but He wanted to make sure that what they used to worship Him was exactly how He commanded. And why does knowing this about God help us? We get to apply this new insight to what we already know. As Christians, we believe that Jesus was born of a virgin, preached the Good News, was crucified, and on the third day rose. We believe He is coming back. Hallelujah! We know that He came to fulfill the law of the Old Testament and to be the ultimate sacrifice. So while our God still cares about the details—and He’s definitely still a jealous God—we are under a new covenant. We are no longer required to bring sacrifices or build tabernacles. And I don’t know about you, but, for me, this brings me nothing more than gratitude, praise, and humility. All three things that I need to fill up on to pour out again. A seemingly innocuous passage becomes rich and exactly the insight we need to continue through our day. That is the power of asking the right questions while we study. When we take the focus off of ourselves and place it on God, we leave room for the Holy Spirit to convict our hearts and to move. With praise and gratitude and humility, you continue your day. You’re grateful for the opportunity to love your energetic, messy tribe. There may still be glitter—everywhere—but thank God you don’t have to build a tabernacle! 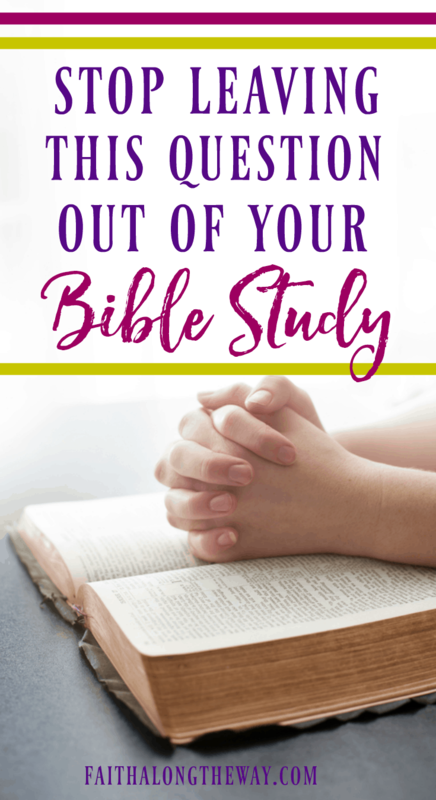 How can this question change your quiet times and relationship with God? What a gift to know that the Lord is the root of our comfort no matte what comes our way! Kelsey … super question! In inductive study … with the 5W’s and an H … often, you can’t answer all of those questions … But “What does this tell me about the nature of God?” can ALWAYS be answered. I will be carrying this along with me! Thanks a bunch! Glad to know you were encouraged, Dianne! Thank you for this much needed encouragement! Every aspect of the Bible teaches us something about God, we just have to look for it. May God bless you! Anna Joy recently posted…I’m Not a Fun Mom – And I’m OK with That! Yes, this is spot on, Kelsey! I spent the last year or two studying through the O.T. with an elementary Sunday School class. And I was surprised by how much I learned about God’s character and His ways of relating to His people. And it’s so refreshing to remind ourselves that Bible study is not about us! A couple of years ago, when I was reading through my whole Bible in one year, I came to the part about the Tabernacle, and –as usual– was BORED TO DEATH… I didn’t understand WHY God was so specific with all the details about the building of it. So I asked Him… WHY did you put all this in here?! It was SO insightful — and I’ve never been “bored” with that passage of Scripture, again! You are so right! I LOVE to learn how God weaves everything together in the Bible!! I was cruising around Pinterest aound this entry. It is indeed a wonderful question. I am in an inductive Bible study class on Ezekiel right now. The chapters for this week are talking about someone measuring the gates of Jerusalem, I think. Or it might be the temple. I’m just not sure. Other than reminding me of John being told to measure the inner court of the Temple in Revelation, I don’t understand what I am suppose to learn. So, your question is very appropriate for me right now. Tomorrow, when I start my lesson, I am going to ask God about it. These are His words. If they can be explained, He is the one to do it.